Hair loss (or Alopecia) is a medical problem that doesn’t care about race, skin type, gender or even age. It is believed that you may commonly experience hair loss at an old age, but according to the American Hair Loss Association, 25% of men in the US start losing their hair by the age of 21 and women make up to 40% of American hair loss sufferers. Even children can suffer from this disease. There are multiple causes for losing your hair. Hair loss is hereditary in most cases, but there can be other reasons why your hair is losing its texture and eventually fall: diseases, medicine, menopause, childbirth, stress, diets, lack of vitamins, the same hairstyle for years or certain hairstyling products. When hair loss is permanent, the treatments usually imply expensive medical remedies and surgical methods such as hair transplants. Luckily, the market offers a solution for covering bald spots and receding hairlines at a more affordable cost and by creating the effect of a natural thicker hair look: Hair Building Fiber Concealers. 2.1.2 What do people say? 2.2.2 What do people say? 2.3.2 What do people say? 2.4.2 What do people say? 2.5.2 What do people say? 2.6.2 What do people say? Hair building fibers are small hairs that, once applied on the problematic areas, bind to your existing hair like little magnets. The small static charges between the fibers and your hair create a strong firm bond. This makes the effect of thick full hair last longer and appear more natural. Natural human hair fibers are the most appropriate option to your natural hair. It is a safe material and successfully covers baldness and thinning hair. There is nothing more natural than real human hair. Keratin is a fibrous organic protein and a main structural constituent of human hair and skin. Therefore, Keratin fibers effectively cover bald patches without irritating the scalp. Since hair is already made of keratin, an artificial look when using keratin hair fibers is completely out of the question. Cotton fibers (usually made out of moroccan cotton) is also an ingredient that easily sticks to your hair creating a full head look since it has a negative charge. The only problem is cotton sticks only to existing hairs, so it is more effective on thinning areas than on bald patches or completely bald scalps. Wool (or any other animal product) fibers are another way of making your hair look thick, but is better to be avoided. Animal hair structure is different from ours, so wool is an ingredient that will not conform to all hair types and also you might find yourself experiencing allergies or irritations. Hair concealing products come in many forms and sizes. Sprays are easy to use, but, usually, contain color chemicals and just give your scalp a dyed shade, creating an artificial look if not used properly. In the last years, people have gone towards powder concealing products made out of natural keratin fibers that electrostatically stick to your existing hair. Top brands of hair fiber concealers constantly improve their products. They cover a large range of colors, they work for any type of hair and the best ones don’t wash away from sweat or rain and don’t blow in the wind. People worry about getting their clothes or face dirty and some are afraid that combing their hair might ruin the effect. Natural fibers are meant to stick to your hair, not to your skin or clothes. Finding a hair concealer that suits you is a matter of trial and error. However, it is easier and faster to find that one concealing product if you take into consideration a few important aspects before buying. Your hair concealer must contain natural organic hair fibers. Keratin hair fibers or human hair fibers are the closest to what our hair is made of and they will blend naturally with any type of hair, avoiding an artificial look. No one wants to draw attention to their problem. Your hair fiber concealer must be easy to apply. Good hair fibers work instantly, must not require a lot of hassle and go off only with regular shampoo. You have to be able to apply it quick even when you are not in a hurry. Most hair building fiber concealers offer a variety of colors and shades. Make sure you choose the right color. It’s frustrating to draw attention to your bald patches just because you used the wrong shade. If you are not sure about the color just order the smallest option the brand has. Reviews from other customers can help you a lot when buying a hair concealer. Amazon, for example, has eliminated reviews given in exchange of a sample or a discount and verifies each purchase linked to a review. That way you can find only real men and women suffering from hair loss and sharing their experience with the product. Here is our list of the best hair fiber concealers based on what the brand claims and what their customers are saying. The Infinity Hair Building Fibers Concealer uses the latest Micro Fiber Technology based on keratin fibers that blend naturally with your hair in less than 30 seconds. The hair fibers are lightweight, do not retain moisture and are undetectable from inches away. The product does not stain, doesn’t clog your pores and can last for days until it is removed with regular shampoo. The product is suitable for both men and women and comes in 10 different shades (black, dark brown, medium brown, light brown, dark blonde, light blonde, auburn, cinnamon, gray and white) and is suitable for any type of hair (normal, coarse, fine) or hairstyle (straight, curly, frizzy, colored, highlighted, long or short). 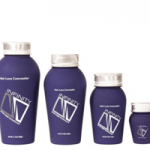 Infinity comes in 4 convenient sizes (from travel size to a 90 day supply) and is also cost effective (from $7.99). The brand offers a pump applicator for direct precision when applying and a lock spray to ensure the fibers stay in place. It appears Infinity works as advertised and most people even become long term customers considering it to be better than other top brands. People say the fibers stay in place, that it works for thinning hair, for grey hair and for bald patches. Also, they are very happy about the large range of colours. Reviews say that the quantity and design of the recipient are an issue. Some customers say they need to apply a large quantity of product and the design of the bottle doesn’t allow you to see how much you have left. Also, fibers seem to stick inside the product because the holes of the bottle are too small. Check out more details on this product! The Eclipse Instant Hair Filler Concealer comes in 3 sizes (from 3g to 28g) and offers 10 different colors (black, dark brown, medium brown, light brown, auburn, cinnamon, dark blonde, light blonde, gray and white). You can buy the product starting from $9.99. 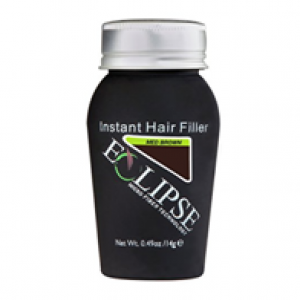 Eclipse uses micro-fiber technology to create a bond with your natural hair in seconds. The product works great with thinning hair and balding. After applying the product add a finish using the Eclipse Fiber Locking Spray for a waterproof natural look. The brand offers a pump applicator for better precision, samples containing the most popular 4 colors and a kit for beauty salons. The product is equally effective on men and women, works for any type of hair and is safe to use. Eclipse reviewers say the product blends and works well with thinning hair and bald spots offering a thick hair appearance. Also, buyers are happy with the fact that the hair concealer works on a shiny scalp, is easy to use and you can apply it by not making a mess. Despite the positive aspects, the product contains rayon which proved to be a problem for some customers, causing them scalp irritations. Also, the product tends to clump on the scalp and you cannot see how much you have left in the bottle. Find out more about the Eclipse Concealer. 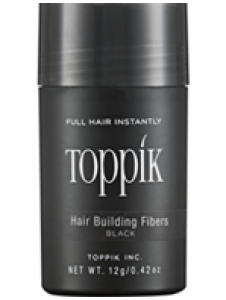 The Toppik Hair Building Fibers Concealer is made of natural colored keratin fibers that magnetize undetectably into your existing hair through static energy. The product can be used by men and women of any ethnicity and is water, wind or sweat resistant . Toppik comes with 9 natural colors (black, dark brown, medium brown, light brown, auburn, dark blonde, light blonde, gray and white) and in 4 different sizes (from 3g to 55g). The brand brags with it’s satisfied customers and with offering an instant more youthful appearance. Aside from the hair concealer, Toppik offers a range of other beauty products to complete your look such as a Spray Applicator, a FiberHold Spray, a Hairline Optimizer, Shampoo or Conditioner. Apparently Toppik is a good product, but has its flaws. The concealer offers a full hair look only if you have thinning areas, but not if you have little or no hair. The product works indeed for different hairstyles and does not leave residue. A few tests are necessary to find the color that suits you. People complain about the fibers not bonding with the hair and frequently falling off. Most people say the powder is too fine and can be very well noticed from a close distance. You should be careful when using styling products over it or you will find yourself with a different color than the intended one. More in-depth information about Toppik in this detailed article! Caboki contains non-synthetic fibers produced from plants (Moroccan Gossypium Herbaceum) and mineral-based colorants. The product is free from synthetic dyes or chemicals, artificial fillers or animal ingredients. The Caboki concealer is safe to use and gives a natural look even under bright sunlight. The fibers last all day, all night, through wind, rain and sweat. The product doesn’t stain and works for both men and women. 14 colors are available: black, dark brown, medium brown, light brown, auburn, light auburn, blonde, golden blonde, natural blonde, salt&pepper-dark, salt&pepper-light, dark gray, gray and silver/white. Caboki is indeed a safe product and contains organic fibers. People with thinning hair and a receding hairline have experienced great results. However, it seems it doesn’t work for bald areas. The concealer is also easy to apply and the high number of colors is a plus. Although the fibers are natural and organic, they don’t stay in throughout the day. 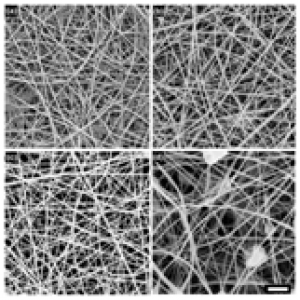 Reviewers complain about the fibers not clinging very well each time. Also,it makes a lot of mess when applying the product because fibers fall all over the place. Is Caboki suitable for you? See all the details! Hair Illusion uses only one ingredient: 100% real human hair fibers. The concealer doesn’t promise stopping you from balding, but promises the illusion of a full head in only 60 seconds using the most natural fibers. Hair Illusion claims to be the only hair concealer that uses real human hair fibers and comes in 3 sizes (from 6g to 38 g) with 8 different colors (black, jet black, brown, dark brown, light brown, auburn, blonde, light blonde). Hair Illusion can be used by by both men and women and is cost efficient (from $10.49). Although the brand doesn’t state the product can be used on other parts of your body (other than your head), some men tried it on their beards and obtained great results. Most people are pleased with the natural look it offers and have become long-term customers stating that it actually works. The product is safe, easy to use and comes off with shampoo. On the other hand, the durability of the product is debatable. Most complaints come from the fact that the fibers don’t stick very well to natural hair. The fibers fall off often on the pillow or clothes leaving just a colored scalp. Some people use Hair Illusion and a keratin fiber concealer for good results. See the effects of natural hair fibers in this detailed article! 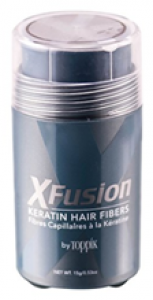 XFusion is made out of wool based keratin fibers and instantly make thinning hair look thick and full. The keratin building fibers cling to your hair in a matter of seconds and doesn’t come off in wind, rain or perspiration. XFusion works on any type of hair, comes in 9 colors (black, dark brown, medium brown, light brown, medium blonde, light blonde, auburn, gray, white) and the smallest amount it offers is 3g, the travel size bottle. XFusion contains the same ingredients as Toppik so the results are similar. The product is more affordable and hair fibers stay in place even on a windy day or if you sweat. XFusion doesn’t rub off after applying and it comes out when you wash your hair. The concealer is not effective during rain and hair fibers are so fine that they look like “baby powder”. Customers experienced an itchy scalp after using it and one customer complained about having migraines after 2 weeks. Also, avoid scratching your head if you don’t want black fingernails. Learn more about XFusion and see if it is right for you! Finding the best hair loss concealer will always be difficult. We are all different, so while one product will work for some, it might not work for others. Keeping in mind a few aspects before buying can save you from a lot of unpleasant experiences.